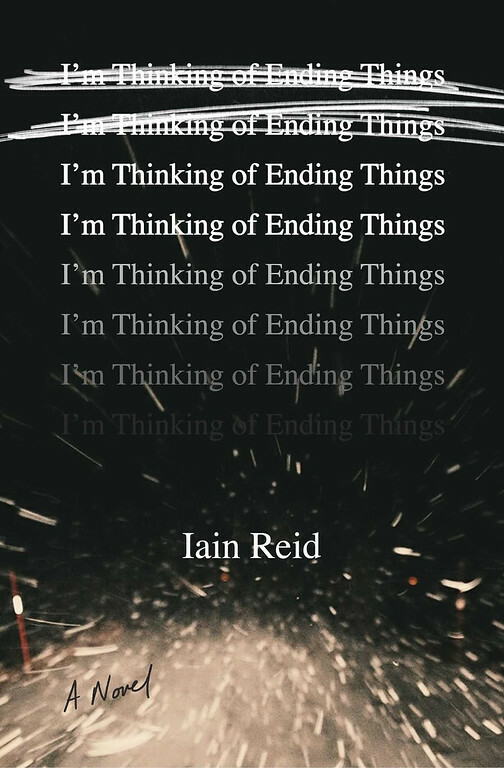 A review of I’m Thinking of Ending Things by Iain Reed. Post may contain affiliate links. I’m Thinking About Ending Things is one of those books that pulls you in from the very first paragraph and doesn’t let you go until the last paragraph. No, wait that’s not right. This book doesn’t even let you go at the end. At then end of the book, I thought, “What?” and then immediately went back to the beginning to read through it again. The story opens with Jake and his girlfriend on a road trip. Jake’s girlfriend is narrating. They are on their way to meet Jake’s parents – her first time. They have only been dating about six weeks. The thing is, she is thinking about ending it, the relationship. This book is full of words. I know all books are, but this one seems extra full. Everything is described just so, but more in the manner of a conscious train of thought. Sentences start with “and” and “or” keeping it constantly flowing. I’m not going to give anything away, but the ending completely surprised me and made me want to go back and reread the whole novel again.